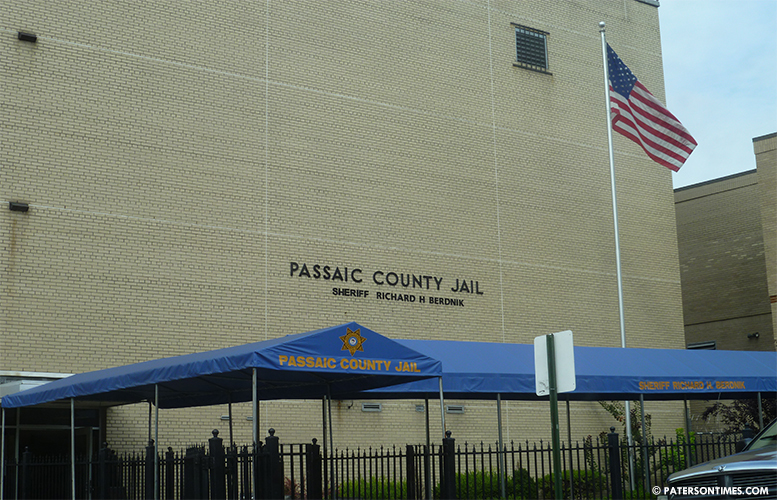 A Passaic County Jail inmate is alleging five police officers – including three charged in an FBI corruption investigation — assaulted him, according to a complaint filed in federal court. Buchee W. Roundtree, a known drug dealer and convicted felon, alleges police officers assaulted him on Mar. 17, 2016. He lists five police officers — Jonathan Bustios, Matthew Torres, Eudy Ramos, Richard Ramos, and L Sanchez – in his lawsuit filed on Mar. 29, 2019. Three of the officers — Bustios, Torres, and Eudy Ramos – were arrested by the FBI as part of a corruption investigation for violating people’s civil rights. Roundtree claims police violated his Fourth Amendment right to protection against unwarranted searches and seizures. He also alleges wrongful imprisonment, defamation of character, and aggravated assault. “Narcotics were placed on my persons [sic] along with a handgun,” claims Roundtree in the lawsuit. Police seized a Davis .380 caliber handgun and bags of MDMA from him. Roundtree is representing himself in the lawsuit. On Mar. 17, 2016, Roundtree was observed allegedly conducting a drug transaction on 12th Avenue and East 22nd Street. He ran down Warren Street towards Hamilton Avenue to escape police while cursing at officers. Police chased him. He tried to climb a fence at 461 Hamilton Avenue. Eudy Ramos grabbed him by the belt to stop him from scaling the fence. Police at the time said Roundtree punched Ramos, causing him to fall and injure his wrist. Other officers at the scene subdued and handcuffed Roundtree. He continued to resist even after being placed inside a police car. He became irate and began kicking the window of the squad car, according to police. Pepper spray was used to control him. He was later taken to the hospital, where he threatened to kill police officers. Roundtree claims he was “brutally” beaten by police. He wants $125,000 in damages. Roundtree has had multiple interactions with police. Besides the Mar. 17, 2016 encounter, he led police on a chase through four towns in Sept. 2017. He crashed his vehicle in Morris County. Passaic County sheriff’s officers recovered marijuana and heroin from the vehicle. Roundtree has convictions from 2009 and 2010, according to state records. Roundtree’s lawsuit isn’t going anywhere. A judge issued an order on Apr. 2, 2019 administratively terminating the case for his failure to pay the $400 filing fee or file a fee waiver application. Why is it relevant that he's "a known drug dealer"? So was one of the scumbag cops. It isn't easy to make a case when you have a dictionary size criminal history. I guess that had to be put in to balance the story against the allegations of a convicted criminal. The five pigs are also convicted criminals. So just because somebody has a criminal history means they can't be victims of police brutality?